a Unique Concept of Business Development! 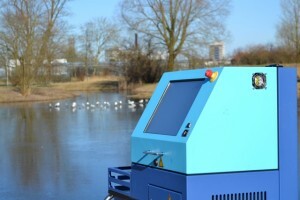 Biotrack’s products are recognized as outstanding in their specific applications across the world: AquaScope for its rapid detection and analysis of bacterial components in various materials, AquaMonitor for in-line and in-time bio monitoring of bacterial contamination levels in systems, ToxBox for its continuous control of toxicity levels and the Aeroscope automated analyzes specific spores in air at very low levels on the spot. Biotrack is part of the DWT Group. 10/13: Erwin Frijling Best Practice Supervisor 2013! 09/13: Bacteria detector: an amazing discovery!